Currently Viewing Topic: POLL | Who do you WANT to be appointed the next Scotland manager? This is Maxwell's time to shine. He wasn't part of the recruitment process last time so hopefully he can wield some major influence I just don't understand the point of this whole short list nonsense! What if everyone on the list tells the SFA to poke it? What do they do then? Start a lengthy application process which should already be underway? The fact Bilic has stated he's even interested should have the SFA already arranging an interview! Indeed! A similar performance to Kazakhstan against a fully fit Belgium side firing on all cylinders gives me the utter fear! https://www.dailyrecord.co.uk/sport/football/football-news/scotland-need-steve-clarke-boss-14377749 "The former Celtic and Scotland star believes the Kilmarnock manager’s organisation skills set him apart from other candidates in the running to replace the under-fire Alex McLeish whose fate could be sealed at an SFA board meeting on Thursday." Do any of us think they'll actually bin him or will McRae and Petrie save their mate? I agree re your point about Petrie but I completely disagree with the bit in bold. We finally had turned a corner with Strachan, going on an unbeaten run playing half decent football including going to Lithuania where we've struggled numerous times and hammered them! 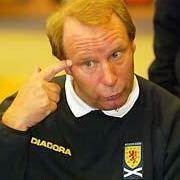 McLeish has set us back years and i'm convinced we're going to miss out on the Euro's again! Just received an email from the SSC. It states that even though home tickets are now available on general sale, SSC members that have yet to buy tickets can still get them at a discount! While I applaud that, they kept it quiet in the run up to the deadline before the general sale!! I can't help but wonder if that option would have been there had we not made a howling c*** of our opening games! Look to 1982 for inspiration please! Did he not also have a better record than both Van Gaal and Mourinho after the same number of games? The bit I've highlighted is a major concern for me! It's really not a free hit we should be relying on and after watching the performance in Kazakhstan I'm convinced too many of the players have this attitude as well. If we have an absolutely honking qualifying campaign confidence will be rock bottom going into that play off and we could be watching another horrendous performance against a team that we could be well with in our abilities to beat! McLeish will not walk and unfortunately he's going to be our manager until at least June as even he isn't shite enough to get a bad result in San Marino. If they did sack him it still wouldn't be enough, McRae and Petrie need to follow him, they're the ones who insisted on giving him the job. Aye and should we be concerned that McBurnie is missing for Swansea today due to illness?! Fletcher now a doubt after going off injured at the weekend, that's a big blow if we lose him! It was widely noted at the time, that for an 18 year old rookie playing in his first CL game against one of the best attacking players on the planet, he played well and did not disgrace himself! The entire Celtic team were out of their depth that night unfortunately! Not quite. He was thrown in the deep end last season against PSG, performed well against Neymar and looked like he would keep Lustig out the team before a dip in form. He's 20 years old, still learning and a great prospect for the future. The fact he's already the go to back up RB at the best team in the country shows without a doubt he's a prospect! Your making yourself look a bit daft writing him off already! !